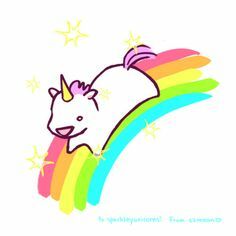 Anyway, I’m here to reassign the title of “Unicorns”. That’s a title that should firmly belong to “gamer girls that date non-gamer guys”. Let that sink in. That’s right; it happens. I know this because I fall into that category. I am in a relationship with a non-gamer guy. At the beginning of the relationship, our work schedules weren’t in sync and so I had plenty of alone time to game. Now with two new jobs, they do sync up. I’m happy for more time with him, but I am also figuring out that he didn’t really have to deal with the fact that I’m a gamer until now. Now I want to game and he’s there. Now it conflicts with “us” time because we’re always together when we get home from work. This is a dynamic that crops up with any gamer dating a non-gamer, of course, but it’s usually smoothed out much earlier in a relationship. I’ve tried talking it through with him, but there are just some things that non-gamers don’t understand. I thought we’d arrived at a compromise but when I mentioned that I wanted to game I heard that tell-tale sigh. Desperate for some sort of insight, I do what any geek would do: I hit up the internet. Anyone else notice how many articles there are on advising gamer guys on how to handle being with a non-gamer girl? It’s damn ridiculous, I tell you! The net is overflowing with them. You would think that at least a few of these would detail what it would be like for a gamer girl to date a non-gamer guy, right? — Nope! It feels like every conversation and article written is geared towards gamer guys and their issues or lack of issues with their non-gamer girlfriends. But what if you’re the unicorn? What if you’re the gamer girl who dates the non-gamer guy? Some people might reply, “Well then you’d just take the advice and flip-flop it!” That makes sense right? I thought so too until I googled it and began reading. I wanted to see how I could apply all this advice to my own relationship. Girls do have a lot of time consuming girly hobbies that are mostly solo activities. We do our nails, read books, watch reality t.v., binge on Netflix, do arts and crafts, and the list goes on. A lot of the time these are things that guys aren’t interested in so it works out. So what happens when the tides are turned? Let’s put this into perspective. Most gamer girls are a tomboy on some level. We tend to enjoy the same things that guys enjoy and our S/O’s know this. The options for what my non-gamer boyfriend does that’s either a solo activity or something I don’t want to do is depressingly scarce. It’s just not the same! I’m certain that everything will work itself out. The dynamic of the relationship will have to change now that my gaming actually affects our time together, and I sense that he’s alright with that. However, I just wonder where all the advice is for the unicorns of the geek world. Non-gamer guys: Do you have a girl that games? How did you adjust? Gamer girls: Do you date a non-gamer? How does that work? This entry was posted in All, Geek Culture, Life, Video Games and tagged console gaming, dating, game, gamer, gamer girl, gamer guy, gamer relationship, gamers dating non-gamers, games, gaming, gaming girl, geek, geek culture, geek girl, geek life, geeky girl, nerd, nerd culture, nerd girl, nerd life, nerdy girl, non-gamer, non-gamers, pc gaming, playstation, playstation 4, relationship advice, relationships, unicorn, unicorns, video games, video gaming, x-box, xbox. Bookmark the permalink. Loving the Unicorn reference. As a male gamer, dating a semi-non gaming girlfriend (she tries and I love her for that), which borderlines us being attached at the hip, I can sympathize with your predicament a bit. While the girlfriend did play FFXIV for about a year, she quit due to frustration with the community and is off doing brighter and better things. I, on the other hand, have a very addictive personality, so I tend to dive into games full speed and it can cause me to neglect my surroundings. Having a passion for gaming and a relationship with a non-gamer can really create difficulties for those involved, one always feels left out. Some sacrifices always have to be made. Spending time with a loved one definitely takes priority, and I know you’re well aware of that. On the other hand, consider gaming like a hobby of yours. You do it because you enjoy it and it does what it needs you to do, take your mind off of things and provide entertainment. All in all, you just have to remember that games really come second next to the person you love. You have to be willing to put your your controller down when something happens and know not to regret it even if you’re in the middle of a difficult level, boss, or playing with others. Adopting a kind of distance towards the game really helps. Thinking things like “it’s just a game” really puts the whole thing into perspective. The other day I was helping my friend set up his in game character on FFXIV and my girlfriend cut her finger with a knife. I immediately hung up the phone, dropped my controller and ran to the kitchen when I heard her scream. So making them know that you’ve got their attention is definitely important to making them feel like you’re still in the real world. Taking a little break every now and then to just say hi and show them some love is good too. A nice hug, a little conversation, maybe a T.V show break. You’re always so helpful in what you write. I can appreciate everything you touched on in your reply. MMO is certainly a beast all its own. In fact, it’s funny that you mentioned it in that way because of something my boyfriend asked. In the middle of the discussion I was having with him about my gaming, he said, “Well, can’t you just pause it? !” — And I was like, No. Lol. I think he’ll understand with time. It’s just a new thing within the relationship that we haven’t had to deal with. I became concerned about it when he shrugged it off like it wasn’t going to change anything. Of course he comes first, but it is my #1 hobby. It will affect things, and I wanted him to accept that. Not sure if he completely grasps it, but he will with time haha.